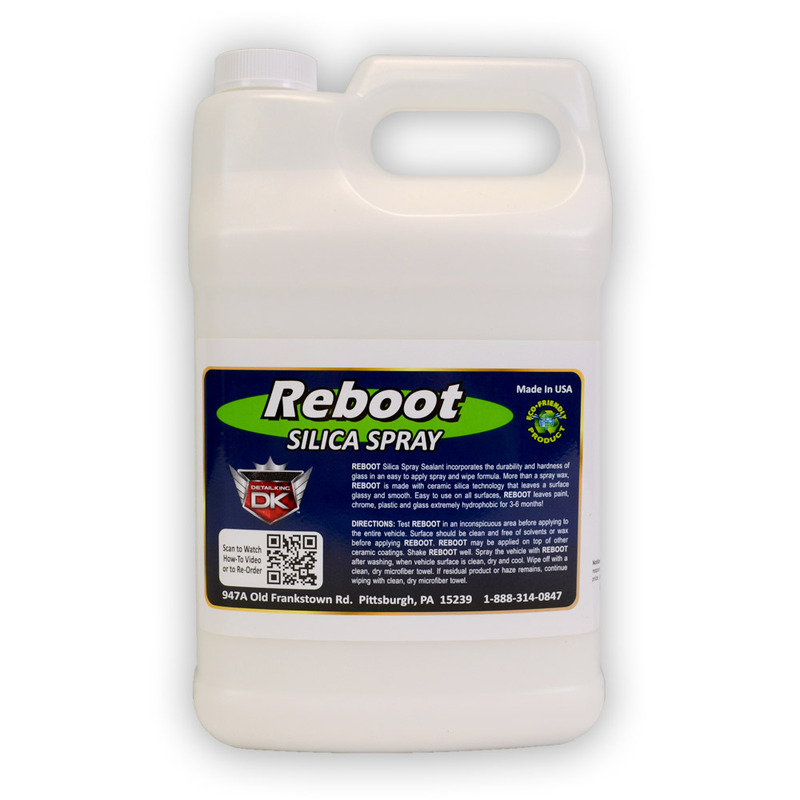 REBOOT Silica Spray Sealant incorporates the durability and hardness of glass in an easy to apply spray and wipe formula. More than a spray wax, REBOOT is made with ceramic silica technology that leaves a surface smooth as glass. 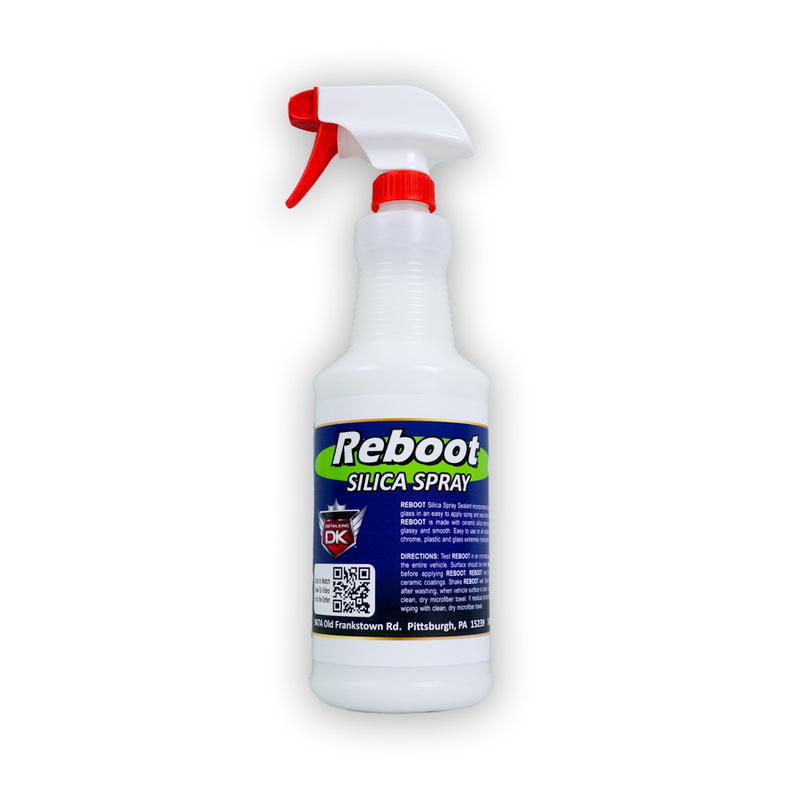 Easy to use on all surfaces, REBOOT leaves paint, chrome, plastic and glass extremely hydrophobic for 3-6 months! This product is also the perfect product to use as your top coat for maintenance details after ceramic coatings have been applied. DIRECTIONS: Test REBOOT in an inconspicuous area before applying to the entire vehicle. Surface should be clean and free of solvents or wax before applying REBOOT. REBOOT may be applied on top of any ceramic coatings. Shake REBOOT well. Spray the vehicle with REBOOT after washing, when vehicle surface is clean, dry and cool. Wipe off with a clean, dry microfiber towel. If residual product or haze remains, continue wiping with clean, dry microfiber towel.